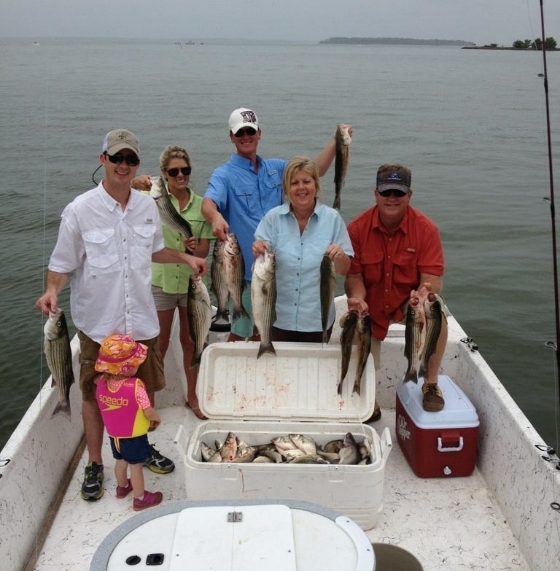 We catch fish year around on Lake Livingston, but here is a general seasonal summary that may help you choose a time of year that is right for you. The weather starts to warm up and fish put their feed bag on! Sure, there is the occasional cold front that passes through but for the most part the temperature is very comfortable on Lake Livingston. During March we are still on a deadsticking bite that transitions into bird chasing, surfacing action in April and May. Late spring we begin searching for large stripers with live bait. The catfish are usually on a very consistent bite in the spring time. The weather can get pretty hot but the fishing is usually hotter. We like to start our trips early this time of year as the daylight bite can be very rewarding. The fish are stacked on main lake humps and the edges of drop-offs . We will most likely be chunking and winding swim baits early and then move out and do some vertical jigging on the humps later on as the morning progresses. Live bait striper trips are also available all summer long. 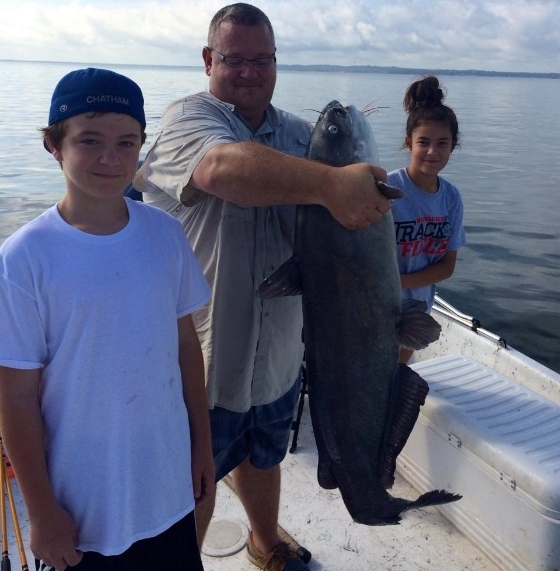 We drift fish the main lake flats for catfish all summer long. 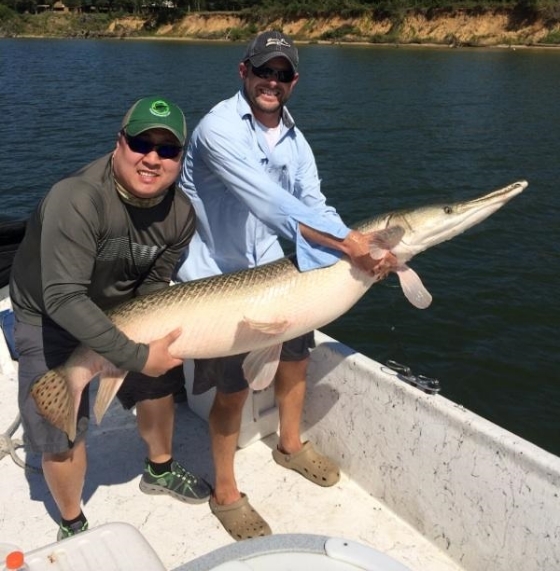 The fall can be a very rewarding time to fish. The temperature is usually very pleasant and the fish begin to feed very aggressively. During the fall we keep an open mind as the pattern of the fish can change on a daily basis. We do a little bit of everything from vertical jigging, to casting under working birds, to throwing top waters shallow for striper. Winter time brings very sporadic weather to the Lake Livingston area. The good thing is that fish become extremely predictable. Traditionally you may not consider this a good time of year to fish. However, we have wintertime deadsticking tactics that are second to none. 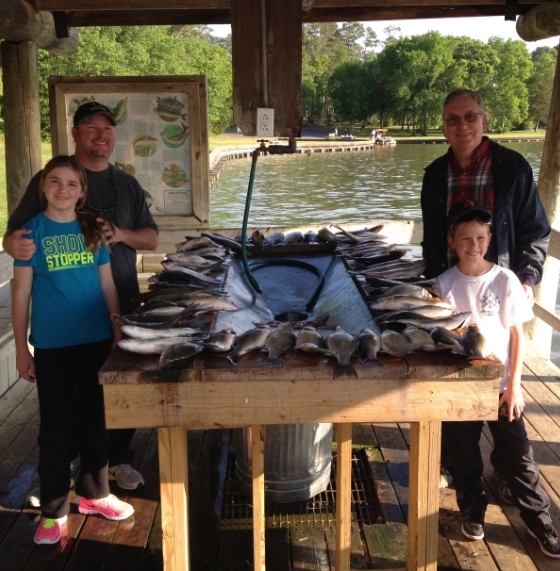 We absolutely fill the boat with fish on a regular basis during the winter months.